Goal: Test layer-3 connection throughput between two Windows hosts. This scenario involves installation on one physical Windows 7 workstation with three network ports and a Windows XP virtual host with four network ports running within VirtualBox. We will create a pair of layer three connections and see test results. 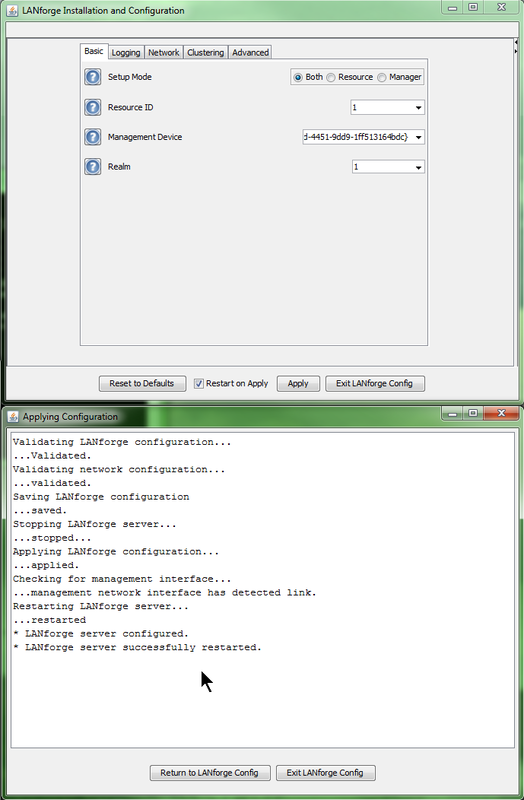 Note: LANforge installations on Windows are not able to change the IP of ports. Please do this before running LANforge. 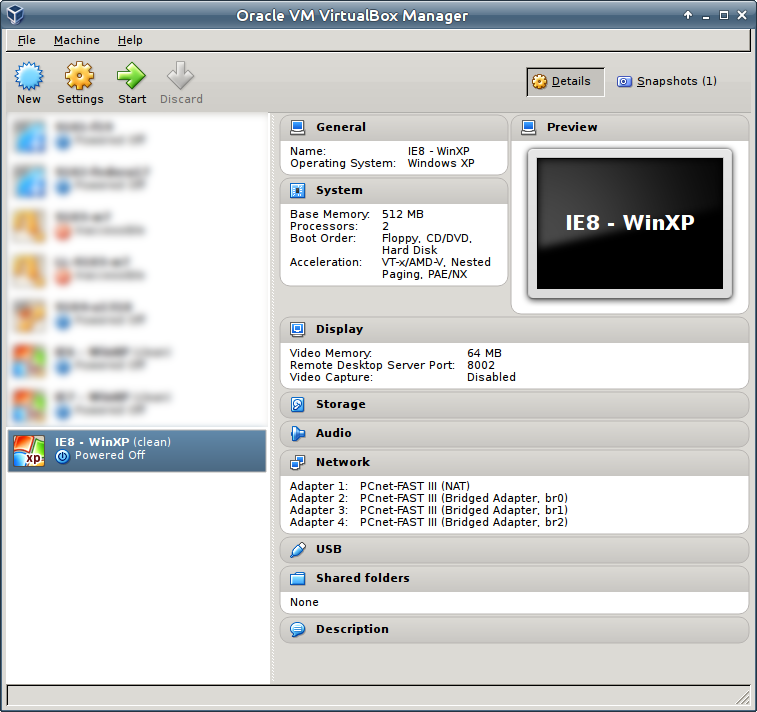 Set up four network ports on the virtual guest. 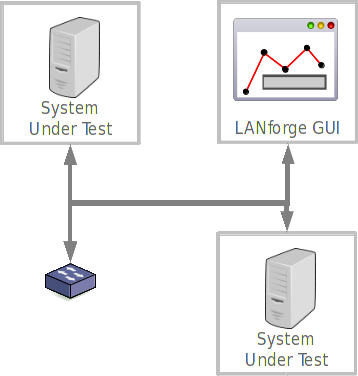 This example shows three ports connected to the host machine over bridge interfaces. 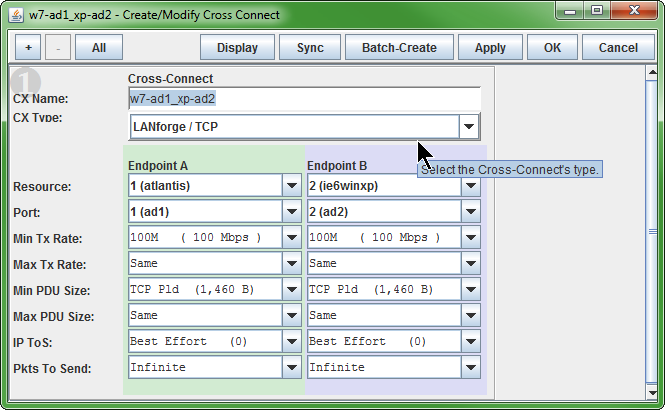 Set the IPs for the various ports using the Windows Network Settings control panel. Local Area Connection: DHCP This is the default VirtualBox NAT port. We'll leave this one as a backup port for safety sake. Local Area Connection 3: 10.26.39.1, for LANforge use. Local Area Connection 4: 10.26.39.10, for LANforge use. 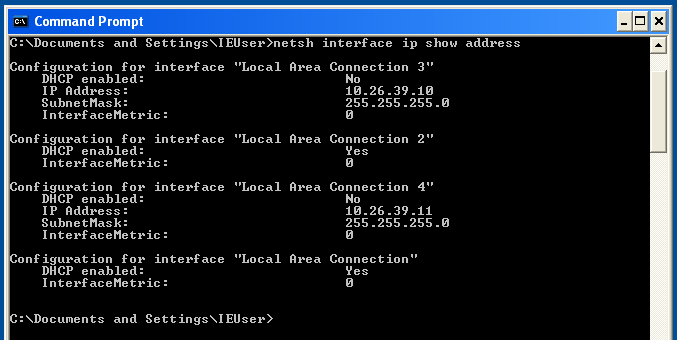 Review the IPs for the various ports using netsh. Set up network ports on the Windows workstation. The configuration includes one physical port on the motherboard and a four-port Intel PCIe card. 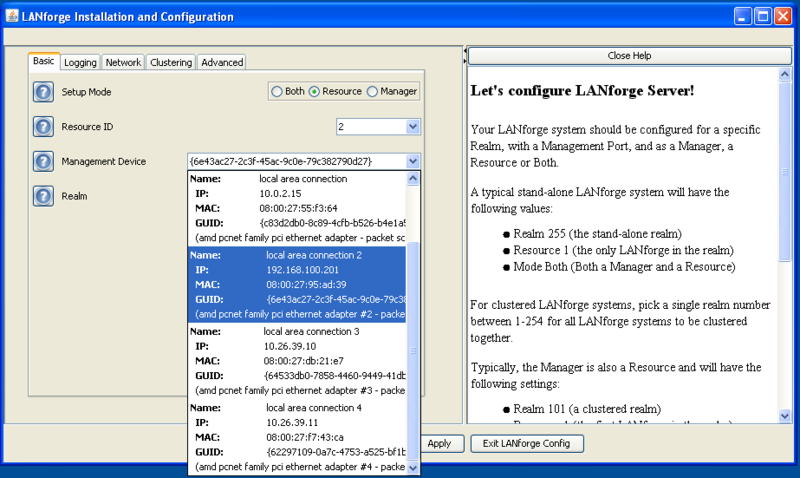 Local Area Connection 2: 10.26.39.2, for LANforge use. 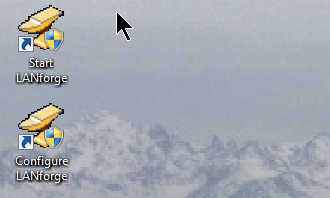 Local Area Connection 3: 10.26.39.3, for LANforge use. Local Area Connection 4: 10.26.39.4, for LANforge use. Make sure your LANforge client GUI can ping the IP of the virtual guest management port. 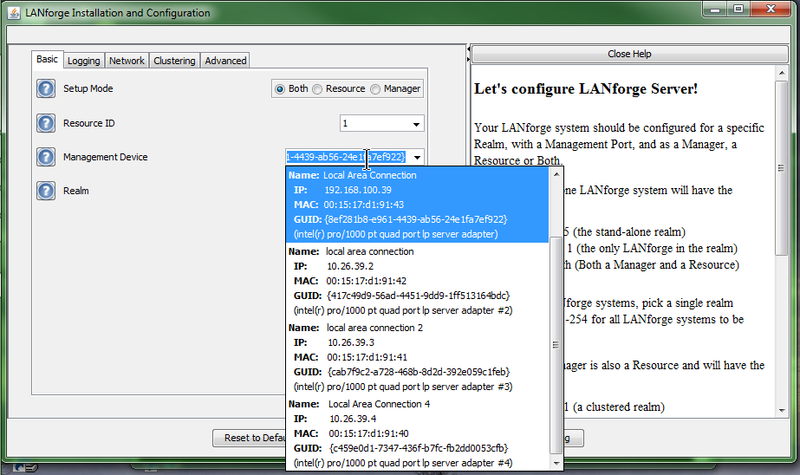 Make sure your LANforge Manager can ping the IPs of the virtual guest management ports. If necessary, configure the Windows firewall to allow ICMP packets. Or disable the Windows firewall. Make sure you install WinPCAP if it is not already installed. Set the Management port to the local LAN addressed port. 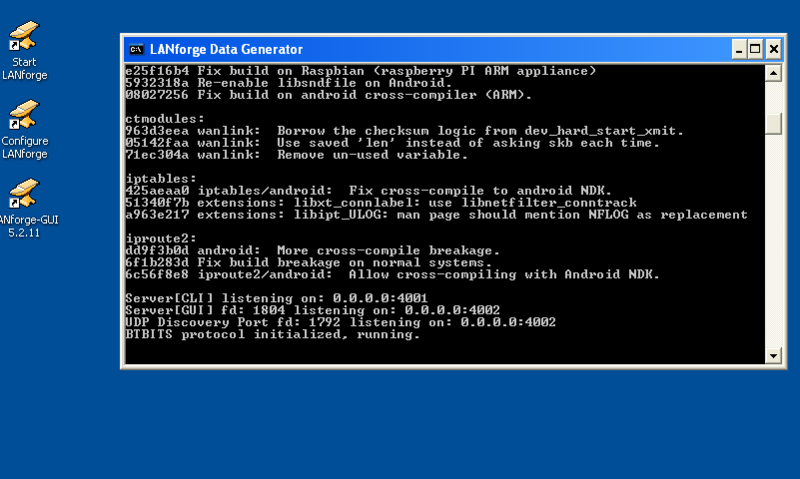 Apply the configuration and LANforge Server will start in Manager mode. 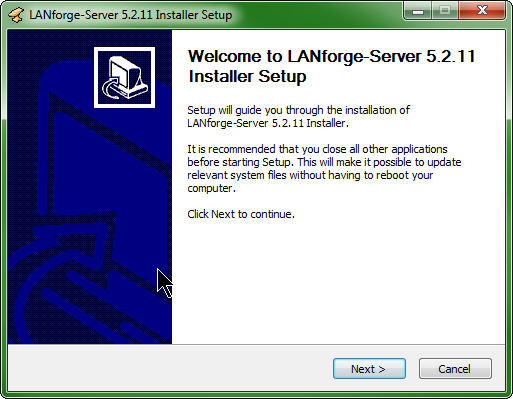 Desktop icons allow you to start and configure LANforge Server later. 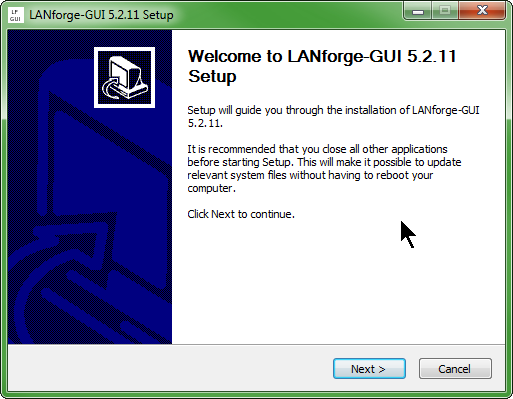 Install the LANforge GUI on the Windows workstation. Don't forget to install the licences. 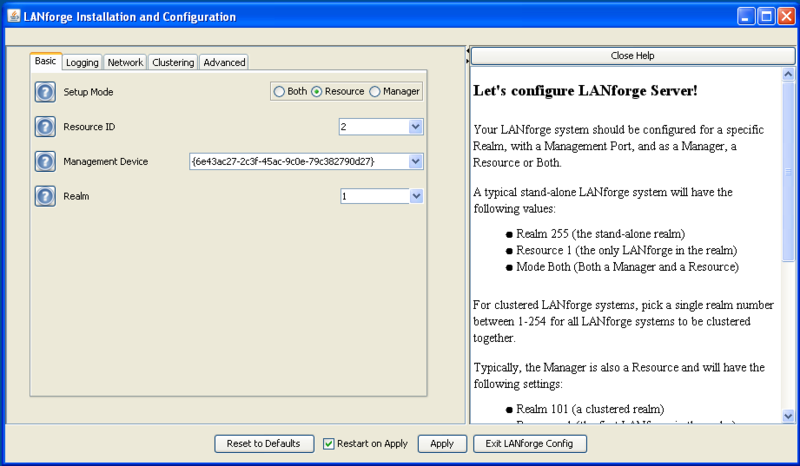 Apply the configuration and LANforge Server will start in resource mode. Set the Endpoint A Min Tx Rate to 100Mbit. This is a limit of the XP guest. 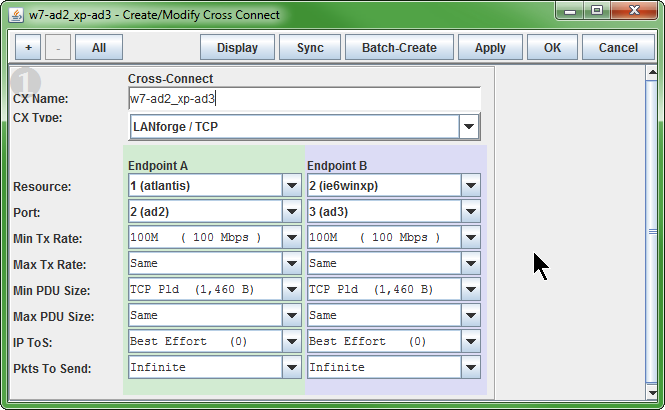 Set the Endpoint B Min Tx Rate to 100Mbit. This is a limit of the XP guest. For the second cross connect, click Create in the Layer-3 tab. You will see data transferring along the cross connects.